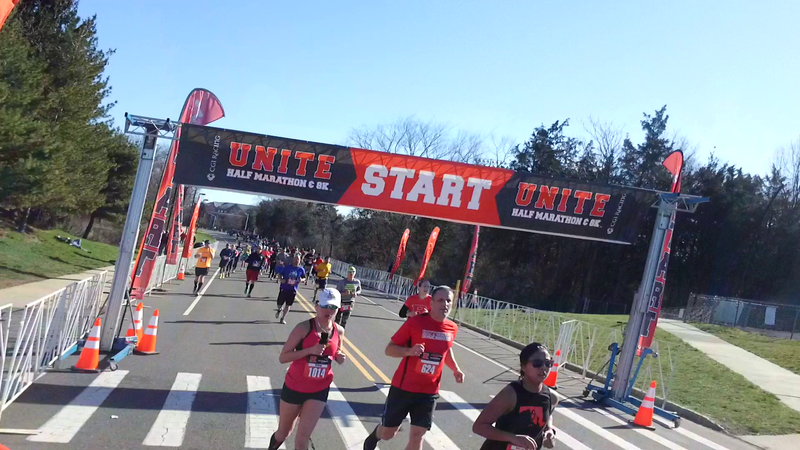 This year Rutgers 13.1 fell on the same day as the Cherry Blossom 10k , so Christine and I decided to do Rutgers 13.1 (last year we sided with Cherry Blossom 10k) , Christine and I once again were back to take on the Rutgers/Unite 13.1 half marathon. 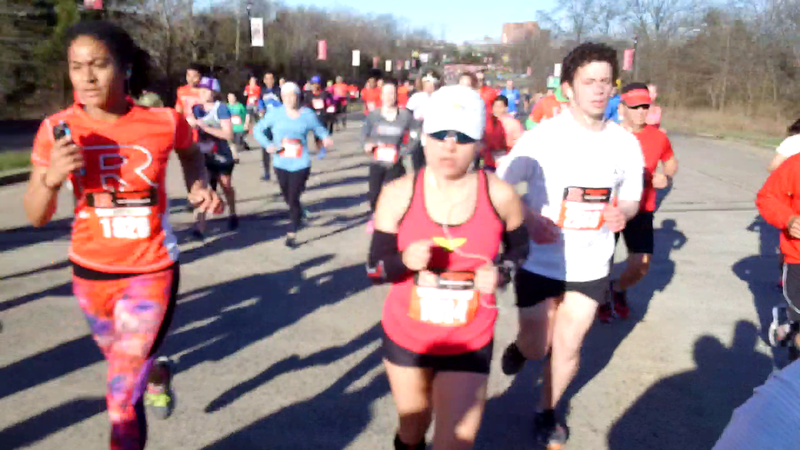 Weather was perfect clear blue skies and temps in the high 40’s at the race start. The half-marathon course, was again changed from the last years. 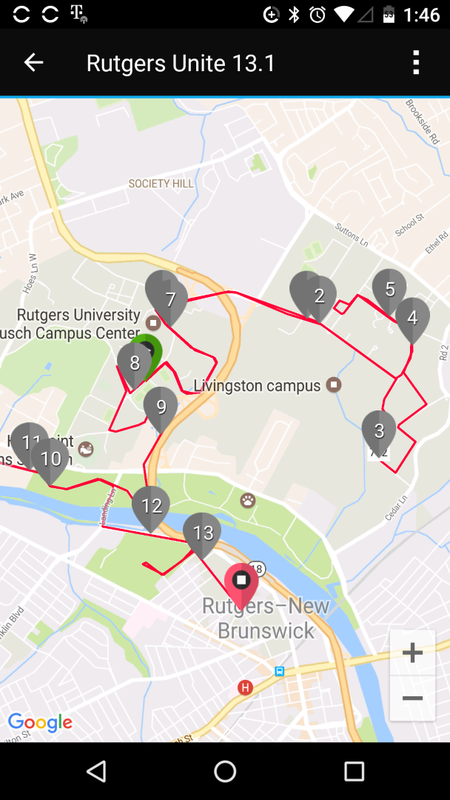 This year we had another minor course variation in the Pistcataway area of the campus and were spared the long loop at the end in the park. Christine re-passing Start line banner near the 8-mile mark. Christine nor I had done much serious running this season, no warm up races, few training miles, and based on my training miles I knew it was gong to be a slow race. Originally Christine and I were hoping to stay ahead of the 9:00/mile pacer and we managed to do so until about mile 6 , but then our lack of fitness caught up with us at that point. Overall my pace was measured keeping close to the 9/mile pace. 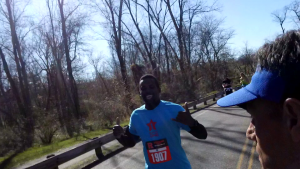 Our buddy Duncan, also running the race caught up with us just before mile ten, and then all three of us ran together for about a mile, before he drifted ahead. 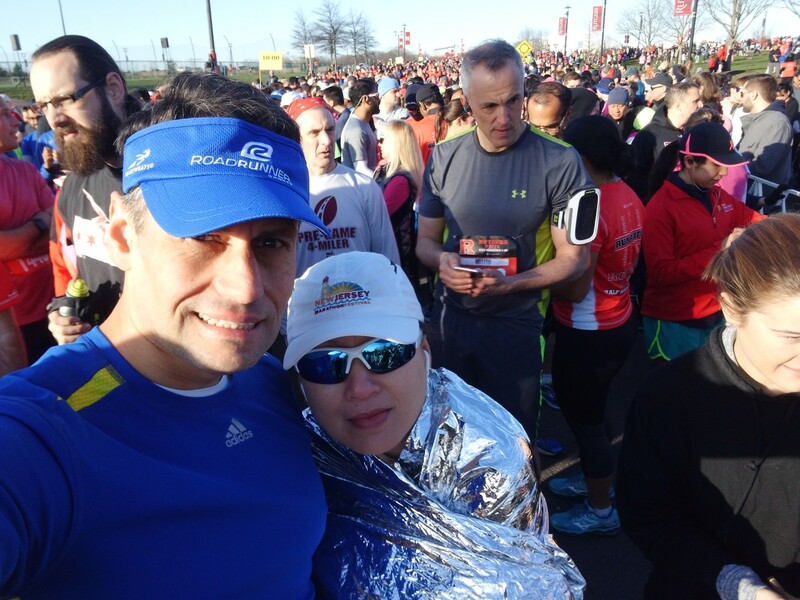 Christine and I ran side by side till about mile 10 , when my slightly better fitness allowed me to pull ahead.. 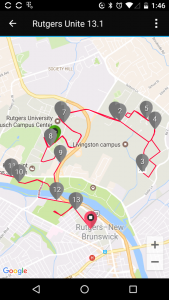 The last two miles were a real pain literally as the lack of distance training was starting to be felt. 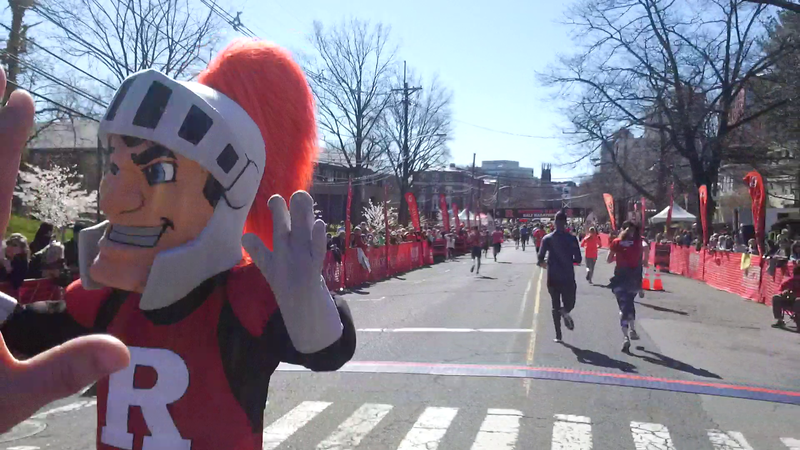 I was glad to get to College ave and the perfect weather and crowd was enough to carry me to the finish. 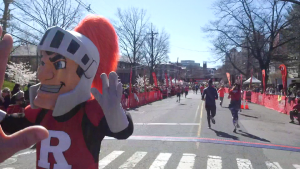 Christine followed a minute or so behind..
Scarlet Knight mascot, high fives me yards before finish line. 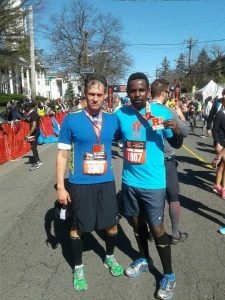 Duncan and I at race finish, I have a gnarly case of hat hair. Again it was a fun event, and the finish area on College ave is always bristling with enthusiasm and satisfied finishers… It’s a great first half marathon to do , and perfect weather makes it all more enjoyable, but still exhausting..